​My objective is to help as many horses as I can by exposing as many horse owners as I can to the true biological needs of their horses. NHC represents a paradigm shift in how we care for and interact with our horses. It represents a deeper understanding of the species, compared to conventional horse keeping practices- and that is good news for horses! Brief videos: how well connected is your horse to you? 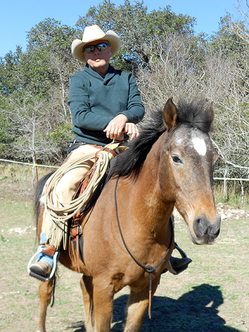 Natural Horsemanship- "True Horsemanship Through Feel", by Bill Dorrance is my guide. The Natural Trim- I trim horses using genuine​ natural trim protocols defined by the AANHCP. ​Come study in Central Texas!